For the 37th episode of Guzra Hua Zamana on January 10-11, we have selected Ghulam Haider, a name that evokes a whole lot of respect and gratitude in other legends of HFM. Despite a short career, he has left an indelible mark in the film music scene of the sub-continent. Let’s enjoy and relish his creations on these two days. On behalf of the SKS family, I would like to express our sincere thanks to Khantha Mahadevan for putting together this fantastic write-up that is not only written so lucidly, but is also one of the most comprehensive account of the maestro’s life and work one would come across anywhere. The legacy of a composer is determined primarily by the quality of his compositions. The creative beauty and styles used to juxtapose melody, harmony, rhythms into preludes, interludes, vocal, choral and orchestral sections reveal the mastery of a composer. Additionally, a composer can leave behind a rich legacy by introducing new talent, by being an effective teacher, by nurturing fellow musicians, by being a responsible member of the fraternity and by being a role model for younger generation of composers. Most of the best music composers revered by the masses and connoisseurs have left an indelible imprint on utmost a few of the above criteria. Some have reigned supreme for a few decades and have left an immense treasure trove of songs, that, one does not even pause to measure their legacy using any other criteria outlined above. Some have had a short career but each of their musical compositions is so unique that those become their defining legacy. Some composers have won laurels only after their death when the beauty of their compositions has been absorbed. Amidst the tortuous and fleeting pathways of stardom in the galaxy of Indian film music, there is only one music composer whose name evokes unbridled love, respect, admiration and gratitude. To date, he is regarded as the ultimate mentor, a supreme composer, a trailblazer, an excellent teacher, a superb voice trainer, adviser, a mega talent hunter, and above all, a most beloved human being who cared deeply for the welfare of his singers, musicians and colleagues. This Polaris of film world is none other than Master Ghulam Haider. His career in films spanned a mere eighteen years from 1935 until 1953. He gave music to approximately thirty six films but his legacy is far-reaching that he shall always remain the North Star of film music. No matter which yardstick is used, Master Ghulam Haider’s legacy is everlasting. Simply put, his knowledge of music was extensive, his ability to recognize vocal talent was extraordinary, his potential to mentor, nurture and groom the juvenile talents he discovered remains unsurpassed, his prophetic statements have come true even beyond his wildest imaginations, his service to fellow composers and the industry remains unforgettable, his treasury of non-film songs is as exquisite as his compendium of film songs, the reverence he commanded from his singers and musicians is unmatched, his revolutionary style of music opened a cosmos of melody, rhythm and fusion that rules the film music world even today. Master Ghulam Haider (MGH) remains the Master of masters of film music. Pankaj Mullick. The name needs no introduction. A composer and singer par excellence, Pankaj Mullick had a defining role to play in the early stages of Hindi film music. Heartfelt thanks to Khantha Mahadevan for putting together this exhaustive and wonderfully written article on the maestro. 1. Playback singing in films started under his music direction in 1935. 2. 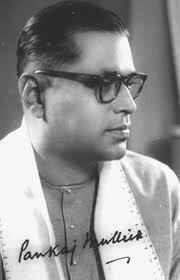 Pankaj Mullick was one of the first to incorporate western instruments and elements of western music such as harmony and counter melody in Indian cinema. 3. He was the first teacher to teach music to millions via radio. 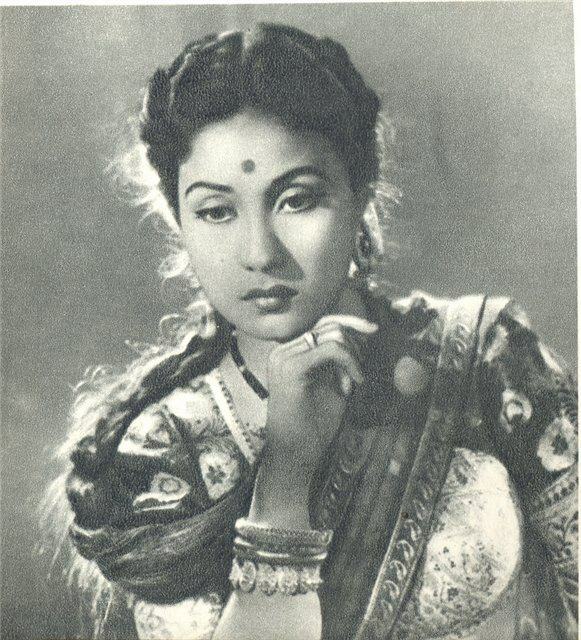 The number of singers whom Pankaj Babu trained who then went on to scale extraordinary heights in their field is at least twenty names long beginning with Kundan Lal Saigal, Kanan Devi, Suchitra Mitra and more. 4. He was the first person to win Gurudev Rabindranath Tagore’s approval and permission to tune his poems, sing them in public and incorporate them in cinema. 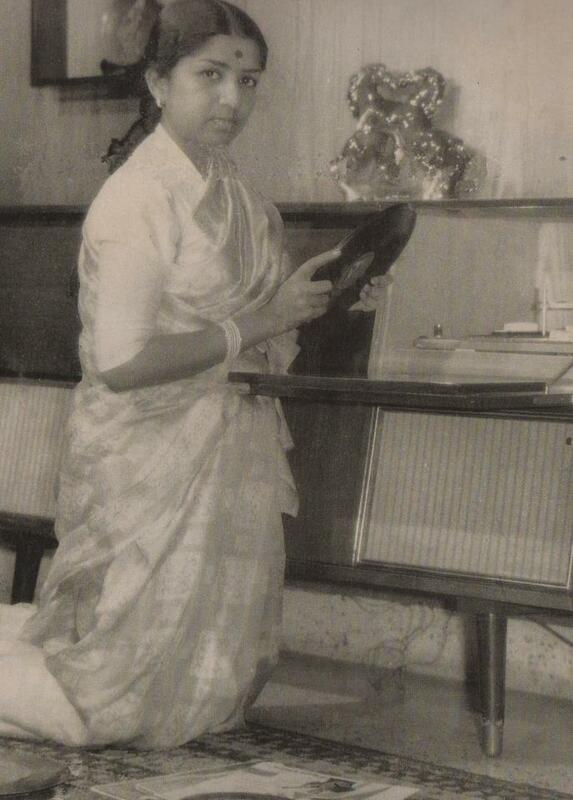 To quote Gurudev (Jorasanko Thakubari, 1937): “All those lyrics of mine that I will not get the opportunity to set tune during my lifetime, I leave to you to embellish them with your music.” Gurudev’s trust and Pankaj Babu’s dedication helped spread the tranquility and beauty of Rabindra Sangeet all over India. He is fittingly recognized as the foremost ambassador of Rabindra Sangeet. 5. Pankaj Babu introduced tabla in Rabindra Sangeet and also made harmonium an integral part even though Tagore had disliked the use of harmonium. 6. Pankaj Babu was the first music composer to be awarded the Dadasaheb Phalke award in 1972. 7. The longest running program on AIR remains the classic live early morning broadcast of Chandipath and Mahishasura Mardini on Mahalaya Amavasya that Pankaj Babu started in 1931 and conducted every year until 1975 (except 1944). The program continues even today. 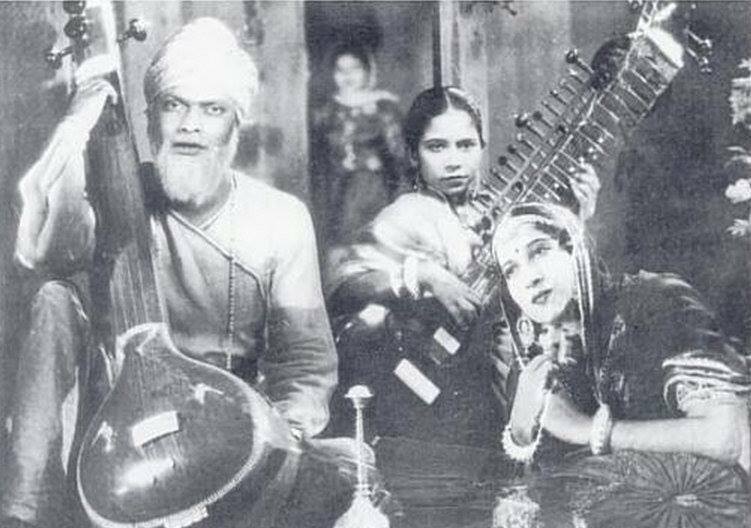 Pankaj Mullick with the Tanpura in Kapal Kundla..
Kamal Amrohi, whose original name was Syed Amir Hyder Kamal Naqvi. Born in Amroha on January 17, 1918, he adopted the name Kamal Amrohvi as a poet. When he was a teenager, he ran away to Lahore after a fight at home. He was noticed by the Principal of the Government College at Lahore who took pity on the wayward boy who under no cost wanted to return home. It was under the condition that Kamal would promise to top the exams which he did. But even before graduation, he wrote many stories which were published in magazines and newspapers. When the editors asked to see the contributor, Kamal Amrohi would not go to the office as he was too young to be taken seriously as a writer. When he was twenty years old, he landed in Bombay after a brief stint at calcutta. He met Sohrab Modi and offered him a story that was made into Jailor. Impressed with his skills as a poet and writer, Modi asked him to do the screenplay, dialogue and write lyrics for several songs of his next story, the acclaimed film, Pukar (1939). The chaste language used in the film and brought to life by Modi and Prithviraj kapoor made Kamal Amrohi get recognized as a talented writer/poet. After some more assignments, he was ready to direct a film. Upon learning that Bombay talkies was looking for a good story to stem its losses in late 1940s, Kamal Amrohi went to present his story. It was instantly liked and was being negotiated for purchase by the studios. Kamal Amrohi made the condition that he would part with the story only if he got to direct the film. When told that he had never assisted anyone with direction or made a film before, there was hesitation to give him the assignment. Only when Ashok Kumar heard the story and advised the owners to take the plunge with this hitherto-unknown Director, was Mahal produced. The rest is history. An amazingly talented poet and writer, he turned into a perfectionist as a Director. It did not matter that films he envisioned took years to decade to complete. Every set was visualized by the Director, every line of screenplay finalized, every tiny detail that the mind could envision and the eyes could see was planned from the locales to the bangles worn by the protagonist..the result was that among five or so films he directed, two made history of the kind that remain unmatched. He also continued to write screenplay and dialogues for other films and occasionally wrote lyrics for a few songs in his films. here is the song he wrote for the most elegant and beautiful film!